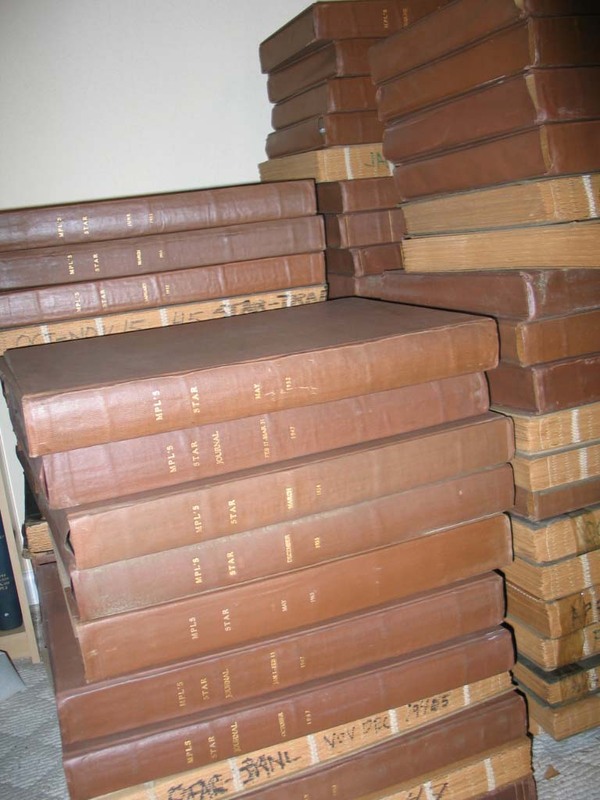 NOTE: since this was posted, all the bound volumes have found new homes. The time has come for the Stripper to do some down-sizing. 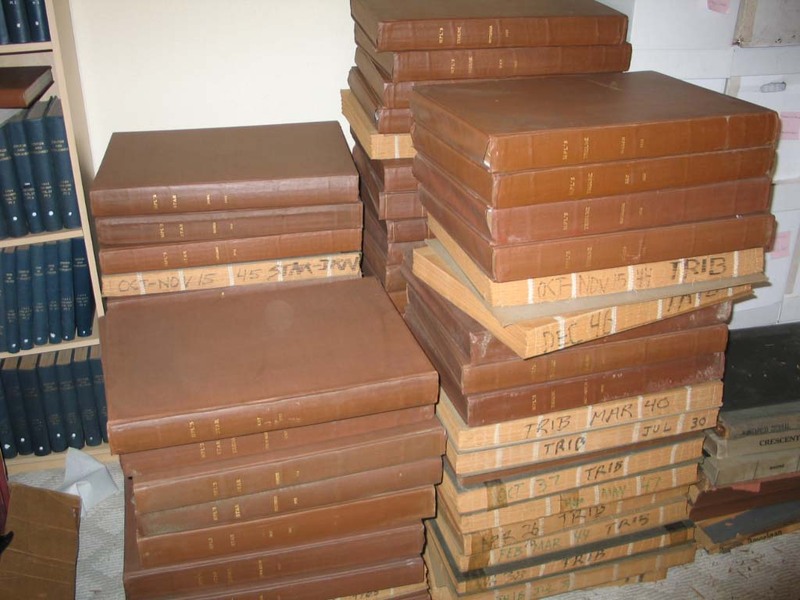 I currently have a room in my home that is primarily devoted to storing newspaper bound volumes. 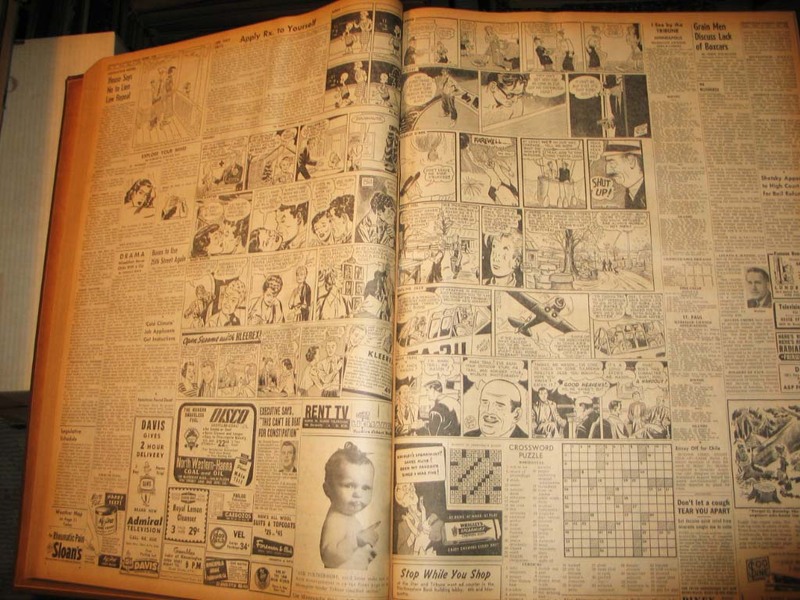 Many of the volumes have had the comic strips clipped out of them, but there are a few big stacks of volumes that are unclipped and pristine. I spent a few months this spring selling some of the clipped volumes on eBay with relatively good success, and I've sold off well over a hundred of those, making a good dent in the piles. I also experimented with selling the unclipped bound volumes in the last batch of auctions, and they do quite well, too ($40-75 high bids). But running auctions on eBay is time-consuming, and the fees are substantial. So before I go ahead with more auctions, I thought I'd offer the unclipped volumes to you folks, at a price below what you'll be able to get them on eBay. Minneapolis Tribune March 1950: Henry, Smorgy (local strip), Steve Canyon, Mary Worth, Blondie, Rip Kirby, Scarlet O'Neil, Candy, Smilin' Jack, Roy Rogers, They'll Do It Every Time, Mopsy, The Man Who, The Neighbors, Bobby Sox. 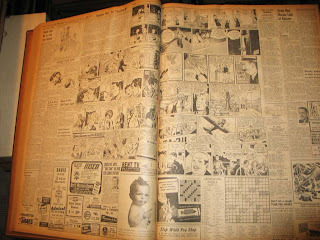 Something notable about the Tribune and Star is that they printed most of their daily strips in 5 columns, not the newspaper norm at the time of 4 columns. That means all these great strips are bigger and clearer than you'd find them in other papers. If you are interested in purchasing some or all of these bound volumes please contact me directly (strippersguide@gmail.com). I am thinking that a price of $30 each per volume is a really good bargain (I often get that much for clipped volumes on eBay! ), and I may sweeten the deal a bit further if you wanted all of them. You are, of course, responsible for shipping costs, which I can estimate for you if you send me your address. If you are in Florida, save the shipping by coming to pick them up, or if you are someplace I wouldn't mind spending the day, I might just be willing to deliver them for gas money. 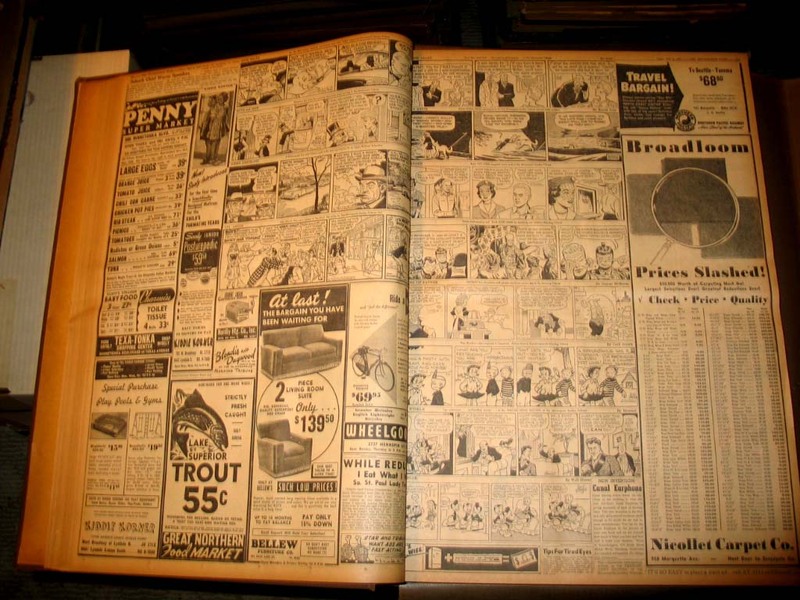 PS: if you are interested in clipped volumes from the 1890s to 1970s, that still offer great headlines, ads, movies, celebrities, sports, etc, etc, etc, at bargain prices, let me know and I'll send you my next list. Some bound volumes available for as little as $5! I contacted the Minneapolis (Hennepin County) library system in hopes they will contact you to buy the lot of these treasures for their collection. I sure hope they do... it is a shame to have such a collection get spread out all over the place. I sure hope they contact you (and if they get them, they treat them with a whole lot more respect than their predecessors)! Good luck with your sale, regardless... may they all find a good home. Hope all is well with you. Nice of you, Steven, but you know it was libraries that pitched these out in the first place, right? 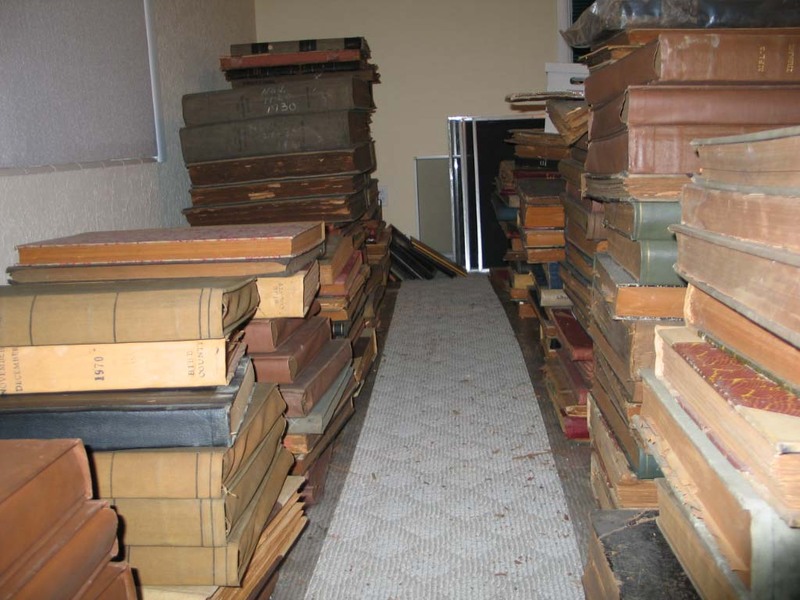 In fact these were all once owned by the Minneapolis Public Library. Libraries claim (oh so wrongly) that there is no use for them once they have been microfilmed. Hi Allan---Next won't you list your unclipped volumes of THE N.Y.EVENING JOURNAL and the N.Y.GRAPHIC, please? That's all I ask. Indeed you are right, Allan... I figured they would be buying back books their predecessors more than likely abandoned. Clearly this was a betrayal of the public trust in libraries, so why trust them again? Good question. I guess I am probably wrongheadedly optimistic that librarians of today may be more enlightened about their treatment of old books of newspapers post-Nicholson Baker's excellent book Double Fold. 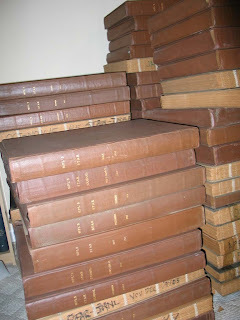 Hopefully more care is being taken today in digitizing old books than was taken in microfilming them (I know Google has a machine that scans without destroying books, although I doubt it is built to handle giant tomes of old newsprint). I put a plea in my message to the library that these were in need of preservation, and should be housed in special collections if acquired. I've no idea if such pleas would be heeded, of course. I hope they found a good home to be preserved in... ideally one where they can be appreciated by the public.